A collapsed bridge on the Mountain Road between Carn and Buncrana. The council estimates that 115 bridges here have been damaged by the flood. 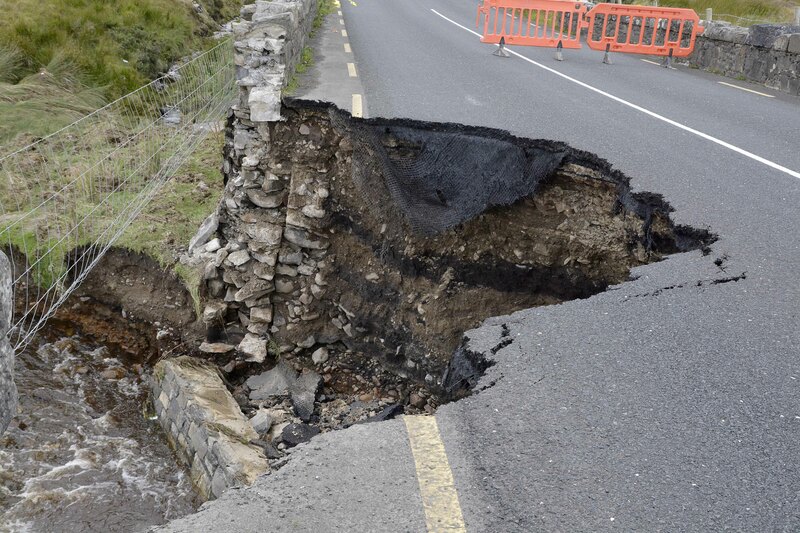 The repair bill to fix flood-damaged roads here is estimated at €15.3 million, Donegal County Council has revealed. The council has been assessing the full cost of the damage for the past three weeks and last night released its first official figure. The vast bulk of the money, €13.45 million, is required here in the Inishowen municipal district, with a further €900,000 needed in Letterkenny; €700,000 in Stranorlar and €250,000 in the Donegal MD. 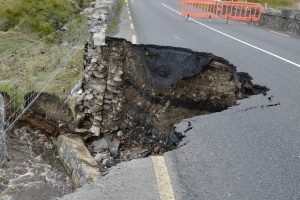 Since the figure of €15.3 million does not cover damage outside the roads infrastructure, the final repair tally will rise significantly however.